There are lots of things that you may consider important for you when you go out in the wild for a trip with your friends or go out camping. One of the essentials that you must consider carrying would be a good machete which can serve different purposes. 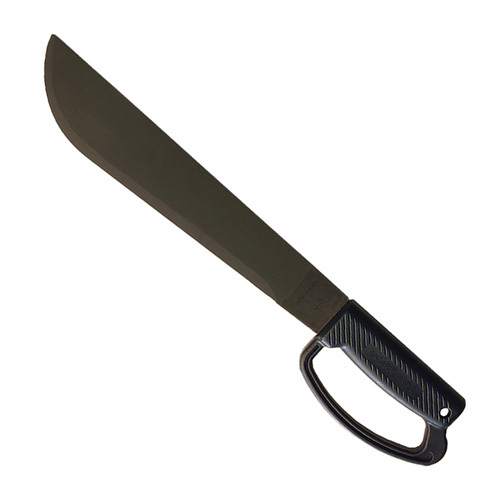 The Ontario 12 inch black D handle camper machete can be a right choice for you. This machete with the D shaped handle helps you use it with relative ease providing a good grip of the machete when you use it for cutting branches or wood. It is also durable which means that it can provide the necessary advantage for you while you are out.